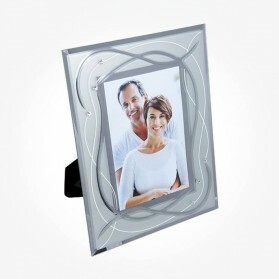 Photo Frame There are 3 products. 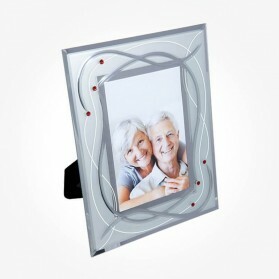 Celebrate people birthday and anniversary with photo frame featuring beautiful designs and decorating with Crystal or Bone China. 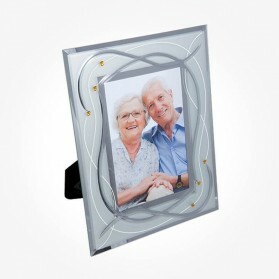 The photo frame is a perfect gift item and is available from Dartington Crystal and more. Celebrate any anniversary or special occasions with this Photo Frame Sparkling Swarovski gold elements that have been hand applied to this special photo frame. The frame area is a shining mirror glass reflecting the images so that make the combination with Swarovski perfect and luxury. The frame is for 6” X 4” photo. Celebrate any anniversary or special occasions with this Photo Frame Sparkling Swarovski Ruby elements that have been hand applied to this special photo frame. The frame area is a shining mirror glass reflecting the images so that make the combination with Swarovski perfect and luxury. The frame is for 6” X 4” photo.